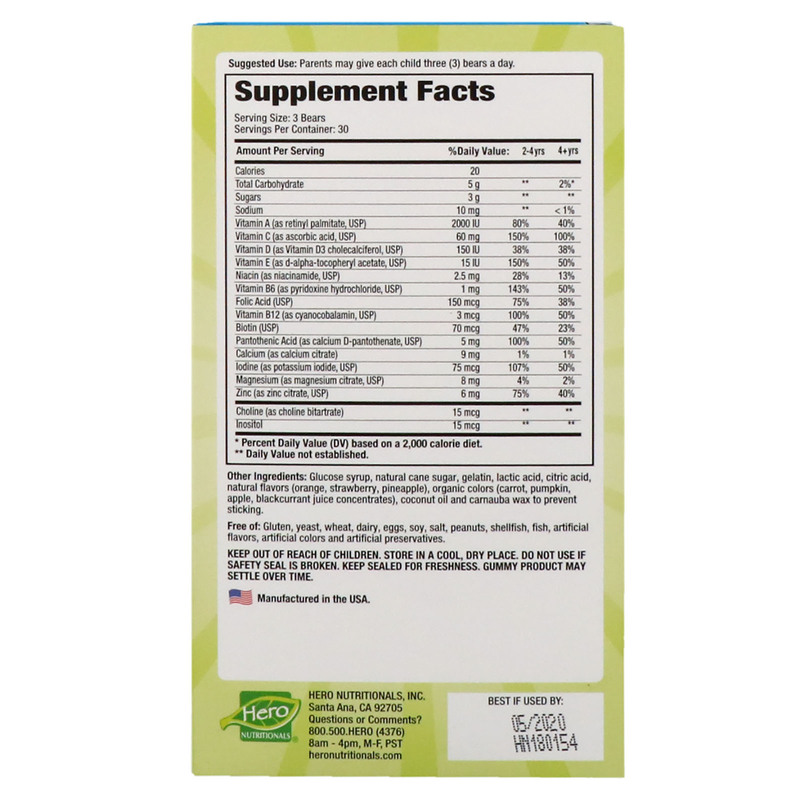 The Original Multi-Vitamin that started it all. Packed with 16 essential nutrients, Yummi Bears Complete Multi-Vitamin provides well balanced nutrition for healthy growth and development in a delightfully yummi gummy! 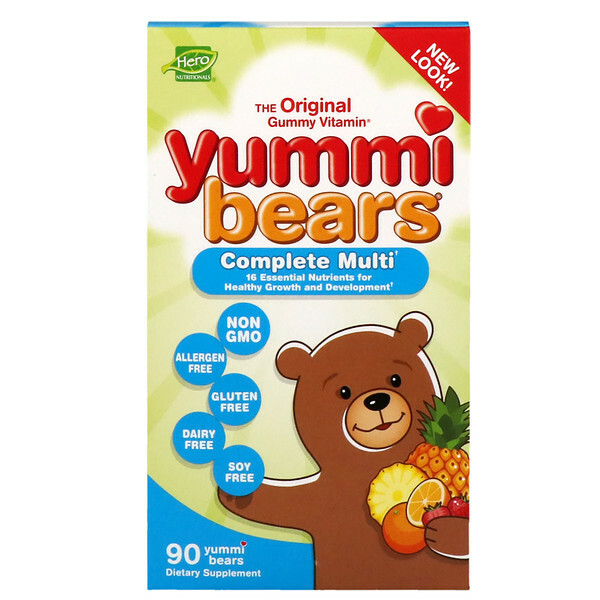 Yummi Bears and Slice of Life gummy vitamins are made in our state-of-the art-, certified organic facility in California, soy u can be assured you are getting best quality. 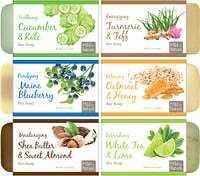 Glucose syrup, natural cane sugar, gelatin, lactic acid, citric acid, natural flavors (orange strawberry, pineapple), organic colors (carrot, pumpkin, apple, blackcurrant juice concentrates), coconut oil and carnauba wax to prevent sticking.